I had a major case of the Mondays this week and was fully prepared to spend the hours after school sleeping and maybe working on one of the, perhaps, three papers due sometime in the near future. But then, just as I was settling down for a long Monday nap, my phone dinged. I got an e-mail from the university. Now, usually, I ignore the vast majority of these emails, deleting them without reading, something that, as a reporter for the Daily News, I should probably stop doing as it’s rare enough as it is that I have story ideas to bring up at the meetings. 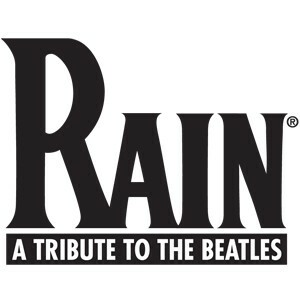 This e-mail was reminding students that the group RAIN, a wildly successful Beatles cover band, would be on campus for one night only and that students could purchase tickets for the 7:30 show for only $5. I, myself, had purchased my tickets in August, as soon as I found out they were coming. RAIN had been in South Bend a year or so before and my dad had told me that, if he had the money to buy tickets to their show at the Morris, he would like to go. Being a fellow Beatles fan, I called him as soon as I saw the ad in the school paper. He wasn’t sure what Notre Dame would be having him do that night (or day before or day after), and told me to get the ticket for myself and enjoy it. I was disappointed about this, as it would be nice to go to something with someone else rather than play the unicycle again, but, hey anything’s better than being a third-wheel at this point. I jumped out of bed and threw myself into the shower. It was about 4:00, which meant I had about two hours to be ready and looking at least halfway decent before I had to leave. If live in a college town, you know why I had to leave early. If you don’t or have little experience with college campuses, you need to leave about an hour before the event you want to go to starts so you’ll have time to make it if you have to walk from one of the ridiculously-placed commuter lots should all the nearby parking be taken. I was lucky enough to find a close spot (relatively, all things considered) to Emens Auditorium, where the band would be playing. The lobby was very crowded with people, primarily baby boomers, which shouldn’t have really surprised me, considering the concert. After what seemed like an eternity for a claustrophobe like me, they opened the doors and we found our seats. Everything was fine until a group of two couples came up and sat in the seats in front of me. This would have been fine had the women sat on the ends of the group. Instead, the men did, giving me a spectacular view of a large gray head attached to an even larger body instead of the center stage, where, because RAIN was mimicking the Beatles, about 95% of the action was going to be taking place. It was too soon to ask for an empty seat as it appears that there are always those irresponsible enough to arrive fifteen to twenty minutes late and there were assigned seats. The lights came down and the announcer asked for cellphones and cameras to be turned off and put away or at least put on silent, as taking pictures or recording the band was strictly forbidden (more on this later). Everyone settled down and quieted, a blessed relief from the people who spent the past twenty minutes or so screaming across the aisles to friends or co-workers who happened to be at the concert, too. The two screens on either side of the stage played old commercials and news clips from the sixties, eventually showing the four men who would take this country by storm emerging from that plane in February 1964. 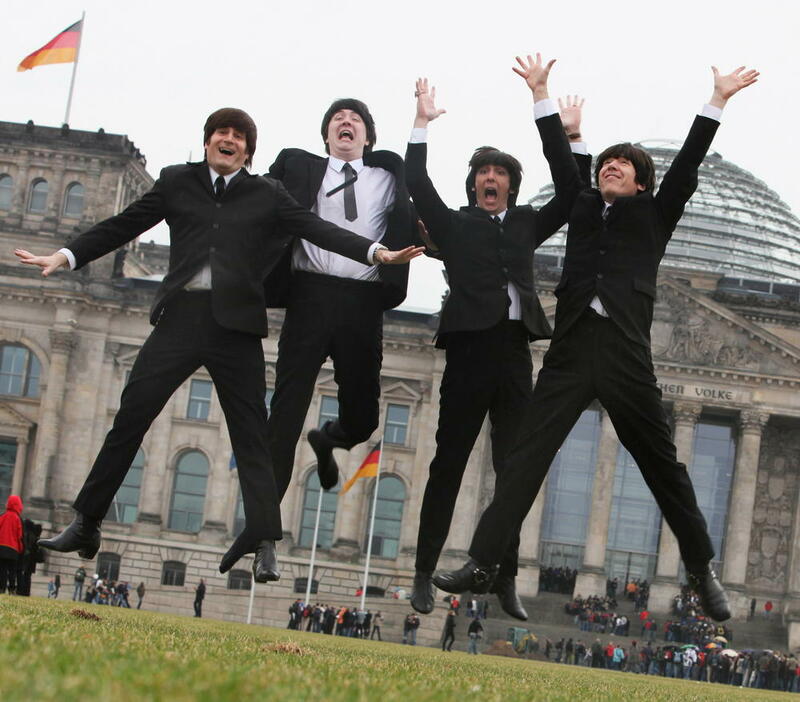 As the sound of the raving girls on the tape died down, the curtain rose, revealing Steve Landes (John Lennon), Joey Curatolo (Paul McCartney), Joe Bithorn (George Harrison), and Ralph Castelli (Ringo Starr) looking much like their prolific counterparts did when they first arrived in the states – black suits, white shirts, black ties, and tame hair, lit by stage lights and forbidden camera flashes, which continued all throughout the concert, despite the previous warning. And, even better, they sounded almost exactly like the originals. I could have played my Beatles 1 CD right along with them and they would have been almost indiscernible. A wave of nostalgia swept over me as I leaned over at a 45-degree angle to see around the gentleman in front of me and remembered the first time I remembered hearing the Beatles. It was my dad’s fault, really, if “fault” is the right word. Any time he was driving, the oldies station (94.3 FM out of Plymouth, IN) blared from the car speakers first from his old (OLD) white, rusty rabbit, then his Chevy pick-up (probably just as old when he bought it as the rabbit was when it finally died), and then in his Honda Civic hybrid. It was the only time I ever heard my dad sing. And it was in the car that I was told about this group that took America by storm about twenty-five years before I was born. I laughed at the name, but not for long. The Beatles 1 CD was the first CD I ever bought, along with the Rugrats in Paris soundtrack, one of my less-wise music choices (anyone remember Aaron Carter? Neither do I.). I can only imagine what it was like for the people there at Emens who remember seeing these guys in person or being around when they were on Ed Sullivan or hearing them on the radio or hiding the records from their stricter parents. I could see and hear these baby-booming once-hippies dancing in their seats or when the audience was standing, hear them screaming at the group just like they had for the Beatles those days so long ago. I laughed to myself. And these people had trouble seeing how their kids and grandkids could scream for guys like Justin Timberlake or Justin Bieber. Come to think of it, so do I, but that’s another story. 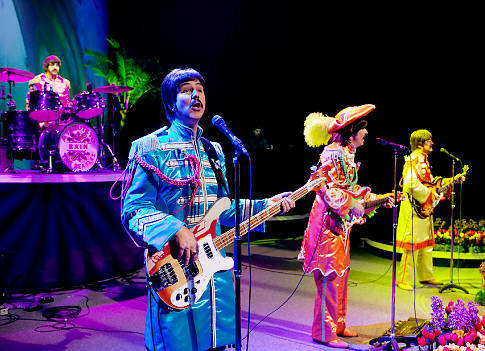 Throughout the concert, as the music changed from their earlier stuff to more recent songs, their costumes changed as well, including the colorful get-ups from the “Sgt. Pepper’s Lonely Hearts Club Band” and “Little Help From My Friends” and again as they went towards the Abbey Road years and their lyrics got more political. During intermission, thank goodness!, I found some vacant seats and managed to spend the rest of the concert in the full, upright position, much to my and my neck’s relief. In front of me, there was a tiny woman – I thought she was a little kid at first – too tall for a dwarf, but too short to not have had her growth stunted by something. By the way she was dancing, I would assume LSD in copious amounts sometime in life. She looked about old enough to have been of-age during the Hippie movement. I tried not to laugh, and more or less succeeded. Baby Boomers rock hard, even if they need to sleep for hours afterward. I couldn’t help but think that my dad should have been there. This guy who doesn’t always seem to know how to relax should have been able to relive his youth with the rest of these people. Maybe it would have put a smile on his face for a little while. I called my dad tonight and told him, next time, we’re on. And there’s nothing he can do about it.